You want to dress better to feel better but you don’t know where to start. This post will show you how and why a simple wardrobe upgrade can help you feel a whole lot better! I was standing at the kitchen counter, sorting through a stack of junk mail when my head jerked like a dog who realizes the UPS truck is buzzing down the street. It was my husband’s truck pull into the driveway and I was still in my yoga pants and… I wasn’t going to yoga. My intentions were to shower before that garage door opened, but time had gotten away from me, once again. I get it. After our daughter was born, I resigned myself to living in slip-on dresses that I’d found at our local superstore. I was comfortable and uncomfortable in my own skin at the same time. The times I needed to dress better– it took me ages to find something, anything to wear. Because I was holding onto some “baby weight,” I resolved not to buy any new clothes until I returned to my former glory. I thought I was motivating myself– I felt like it was the smart thing to do. But, in hindsight, I was almost punishing myself by withholding a wardrobe that actually fit my body and didn’t nag me about those pounds with a pinching waistline. Then, I discovered how faulty my thinking was and I started to approach things differently. And, something completely unexpected and quite wonderful happened! When we allow the scale to measure our value, our vision gets blurry. When we focus on our reflection in the mirror, we lose sight of what really matters to us and to God. Your worth is not determined by your weight, your hairstyle, or that rouge pimple that showed up uninvited. Regardless of how you see yourself today, the Creator of the Universe skillfully knit you together in your mother’s womb. He chose everything about you with His plan and purpose for your life in mind. If you find yourself holding back because you don’t feel like you measure up to the world’s external value system, then it is time for a reality check. Until we see Jesus face to face, we’ll never, ever, ever be perfect. If we hold joy, opportunity, and a new outfit that puts a pep in our step at arm’s length– we’re missing out on all that God has for us, for no good reason (that sounds like the enemy’s work to me). Imagine it’s 3 pm and you are sitting on the couch eating mindlessly out of a family-size bag of chips while watching Netflix. In this picture, how are you dressed? Did you spend a few extra minutes to put on an outfit that you liked and swipe on some lip gloss and mascara? Did you take the time to sit down to a proper lunch, plated with a small serving of those favorite chips alongside? While self-care may seem like a frivolous privilege you cannot afford to give yourself, simple gestures of “you’re worth the time” illicit behaviors that tend to line up with them. Frumpy outfits can lead to frumpy actions. The motivation to dress better is about so much more than the outward appearance. My husband and I tried to get pregnant for a couple of years, only to discover that my lean body was the problem. By faith, I put on over 15 pounds and became pregnant soon thereafter. I was surprisingly comfortable in my new, healthy body. After baby, I held onto a few additional pounds that I was determined to shed. But– they stuck around and became my new normal. I thought I was content with my weight until I was faced with the opportunity to buy new clothes. I just couldn’t do it– it felt as if dressing better was waving the white flag on those last pounds. I wasn’t ready to “give up” just yet. Who has the time to browse looking for just the right piece? How do I find pieces that match without spending a fortune? Where can I find cute, comfortable clothes that fit my busy mom-life? But here, I saw the awesome potential of what a dozen or so additional pieces could do. My eyes immediately recognized a few shirts and jeans that I already owned (tucked away behind my yoga pants). The colors were bright and beautiful and I could see myself wearing the stylish, but not-too-trendy outfits. A new, adorable, exciting wardrobe was closer than I thought. 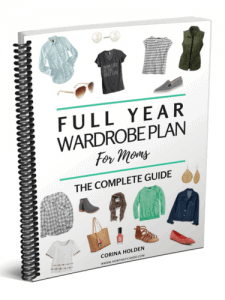 And so, I downloaded the Full Year Wardrobe Plan for Moms and went shopping! The Shopping Guide linked to major retailers where I could pick up the suggested piece for a steal. I snagged a few shirts for less than $10 and a dress for under $20 from Amazon. With a birthday in tow, I managed to pull together a closet that I now love, a little bit at a time, for less than $200. I stopped noticing those extra pounds. I felt better in my body because I treated my body as the gift to me that it is. The BEST part is: Now, I enjoy getting dressed. Long gone are the days of spending half an hour in my closet frustrated because nothing fit me or “looks right”. It actually takes less time to dress better because I am comfortable and confident in my clothes. Do you struggle with how to balance caring for the temple of the Holy Spirit, your body, and addressing what matters most? The Word of God clearly states that “man looks at the outward appearance but God looks upon the heart” (1 Samuel 16:7). Our Heavenly Father doesn’t measure our merit by our power suit or stained t-shirt. He created us for fellowship and not fashion. It’s about you + Him. However, the clothes we choose can affect how we present ourselves. As we dress better, we grow in confidence and shine just a little bit more for Christ. You dress up for special occasions. What if every day was something significant to show up for? Are you ready to makeover your wardrobe in a simple, systematic and inexpensive way? You are going to LOVE these outfit guides by Corina at Frump Fighters. I can hardly believe the value she has packed into these digital guides. 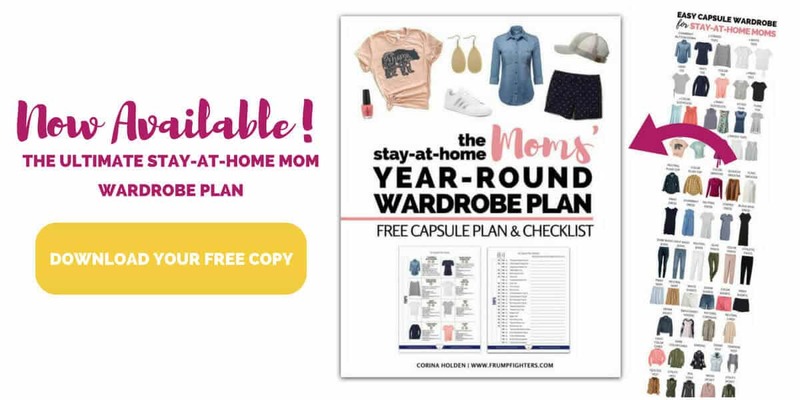 Along with the book, you get access to an online guide that allows you to easily pull together adorable outfits at home or while shopping. I purchased (and LOVE!) the full year plan below. However, you can check out a full selection of guides at Frump Fighters. 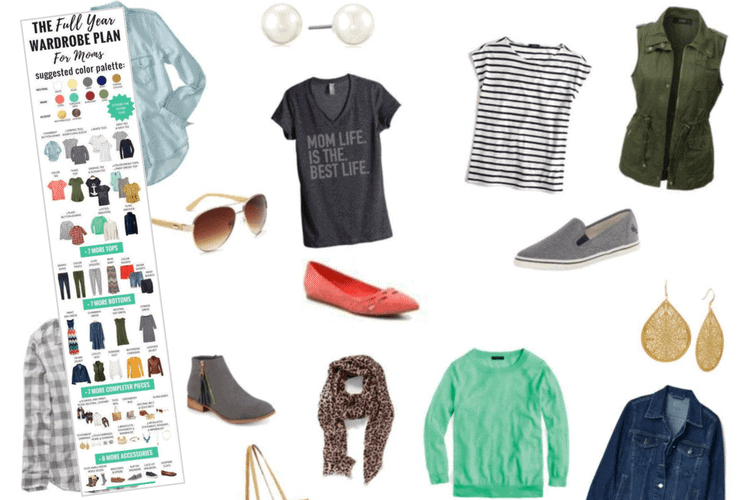 The Full Year Wardrobe At-Home Outfit Guide For Moms. 239 Outfit Visuals Spanning all Four Seasons. 150-Page eBook and Online Gallery of Outfits. List of clothing pieces needed. Links to exact or similar pieces online. 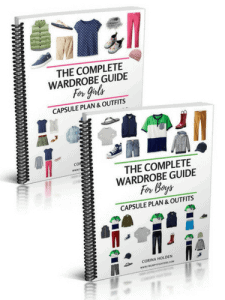 Grab a copy of Full Year Wardrobe At-Home Outfit Guide here. This style guide has 78 outfits spanning the four seasons. 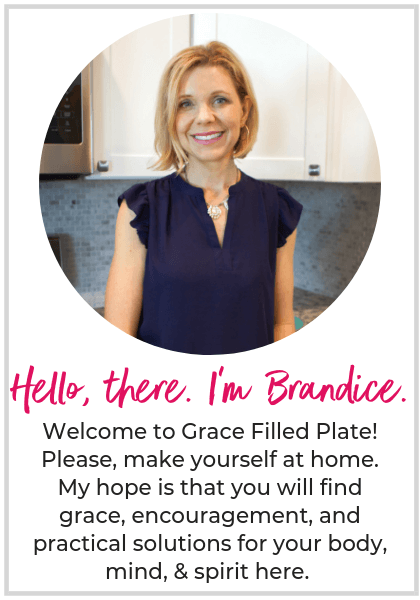 It is designed for working mamas who need a professional wardrobe and outfit inspiration on a budget. The book walks you through quickly shaping a re-mixable wardrobe so that you can look on-point at work while sticking to a budget. 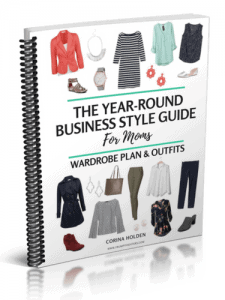 Grab a copy of The Year-Round Business Style Guide here. 210+ Outfit Visuals PER GUIDE, Spanning all Four Seasons. Complete capsule plans designed for ages 4-10. Online outfit gallery app for easily finding specific outfit types. Grab a copy of the Full Year Kid’s Wardrobe Guides here.